Located between the vineyards of Vosne-Romanée, Chambolle Musigny and the Clos de Vougeot in the Côtes de Nuits, this east facing Grand Cru was founded by the monks of the abbey of Cîteaux and date from the 12th and 13th centuries. Their name derives from chesaux, a word of Gallo-Roman origin meaning a group of dwellings, presumably referring to an ancient hamlet. It produces red wines from the Pinot Noir grape. Echezeaux is the fourth largest Grand Cru vineyard in the Côte d’Or (after Corton, Corton-Charlemagne and Clos de Vougeot). Like the Clos de Vougeot, it is also divided up amongst over 80 producers for its 38 hectares of vines and so there are varying degrees of quality. The wines have a rich, full-bodied character with berry and gamey flavours. Usually fruity and expressive in the nose, they have good body, rather a feminine style similar to Chambolle and round, soft tannins. 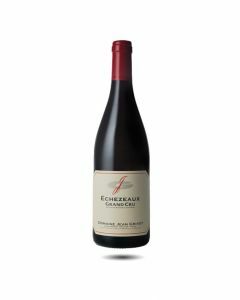 Echezeaux wines can age for a decade or so after the vintage. An exceptionally elegant and sumptuous Grand Cru, typically evoking aromas of violets and spice. It is the most forward in style of all of the Grand Crus: perfumed and velvety-smooth in youth, opulent and captivating with age. Rarely very tannic, it is round and silky soft, and also very long-ageing requiring at least good ten years to fully open. All the class of a grand cru with elegance, density, roundness and seductiveness. The texture is so velvety and balanced that it is easy to forget the depth of tannins, oak, minerals and fruit behind the first impression. A long lived wine. Fresh, spicy and almost exotic on the palate with dark fruit flavours, lots of spice and figs and a touch of orange pekoe tea. On the palate the wine is juicy and round, with great depth without being too heavy. This is thanks to the quality of the tannins, which offer structure and backbone but also balance the fruity, floral lift. The wine ends with an intense, racy finish. Delicious now, this wine will be very long lasting. A stunning wine with great intensity and minerality. The nose gives a hint of the complexity of this wine with notes of earth, rocks, incense and dried herbs underlying the very bright fruit flavours. In the mouth there is great depth and richness, beautifully elegant to balance the impressive tannins and power. Etienne Grivot talks about Échezeaux being a caress, but this is more like a bear hug, albeit a long and lingering one. Rather closed at the moment, like the Richebourg, this wine will have a long 20+ life ahead of it.